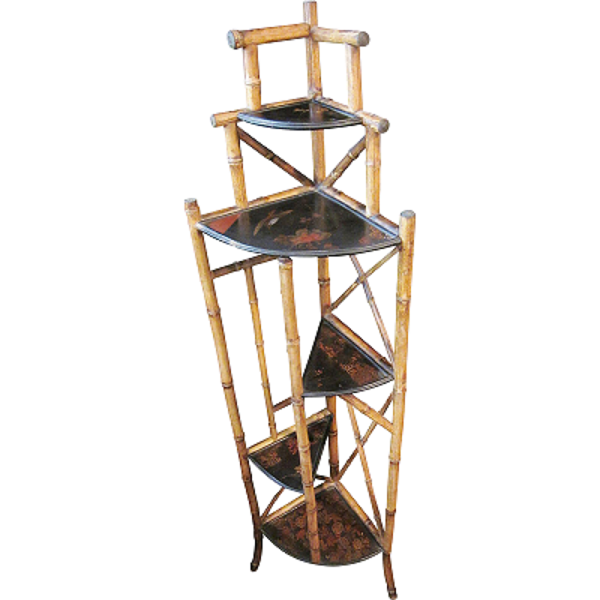 This is an antique Art nouveau etagere in bamboo with chinoiserie detail decorating each shelf surface. It is very good condition, with a minor chip here and there in the chinoiserie, as shown. This can be purchased alone or with one or both of our other bamboo pieces to make a suite.